Read our guide to cleaning up the city streets. 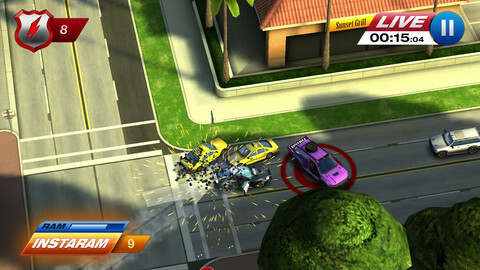 Smash Cops Heat has been tearing up a storm on the App Store cheats recently, and we were left feeling largely impressed when we reviewed the game earlier today. If you're just getting stuck into Smash Cops Heat, here are our top tips and tips for dishing out justice. How can I get more stars in Smash Cops Heat? You can always go back to previous missions to try and improve your performance and pick up a few extra stars as a reward. Don't forget that you can always switch to a more powerful vehicle that you've unlocked to make a bigger, better job of earlier missions. How can I cause more damage in Smash Cops Heat? 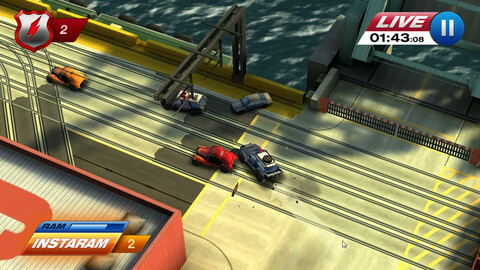 Regardless of which vehicle you've chosen for the mission, the best way to cause maximum damage is to wait for the felon to make a turn. You should aim to hit the ram button so you shoot into the front portion of his vehicle, approaching from a 90 degree angle. This should send him flying! What are the donuts for in Smash Cops Heat? If you can collect all three pieces of every donut in the game, you'll unlock the mighty Reaper which packs a great balance of speed, health and attack power. 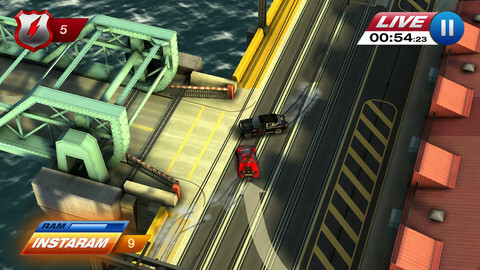 In the menu screen, hit the cog icon and from here you can choose whether to use finger-swipes for steering, or a virtual joypad. You can also switch between left and right-handed control layouts from this section. How does the Super Cop power-up work in Smash Cops Heat? You'll occasionally be rewarded with Super Cop power-ups for completing missions, or you can buy more from the in-app purchase store. Activating this power-up makes your car quicker, stronger and more dangerous for a brief amount of time. How does the Instaram work in Smash Cops Heat? Normally you have to wait for a timer to expire before you can hit your ram button again, but if you've got a few Instaram's in the bank you can tap again immediately to keep causing carnage! These are sometimes rewarded from missions and, like the Super Cop ability, more can be purchased from the cash store. 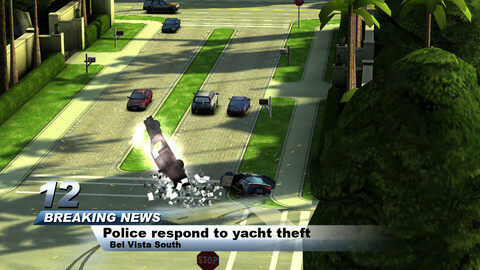 How do I unlock new cars in Smash Cops Heat? The bog-standard patrol car has limited attributes but will get you through the first few missions with a decent star rating. Once you've earned your first 15 stars, jump straight into the Cruiser which represents a significant upgrade in all stats in comparison to the Patrol car. Reach a 40 star rating across the game's missions and you'll unlock the Interceptor which prioritizes speed over health and attack power. The jack-of-all-trades Enforcer doesn't specialize in any one area, but once you've earned 62 mission stars you'll have a vehicle that's fit for any occasion. The Brutus is a little sluggish but, as its name suggests, is great at causing damage and staying alive long enough to get even the toughest job done. The Raptor is unlocked when you have 105 stars, and combines high speed and health that make it perfect for emergency missions where you need to stay one step ahead of the timer, and the attacking criminals. The Sabre has high speed and improved health and attack compared to the Raptor. Unlock this beauty at 120 stars. 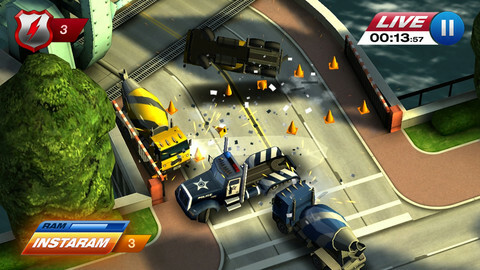 If you're dream is to cause legalized mayhem with an articulated lorry, grab the Guardian when you reach 135 stars. It's not fast, but it hurts. To unlock the Reaper you're going to need to collect 25 complete donuts. You can rent the Hornet for five missions but you'll be charged real money for each rental period, so be careful!